Case 1: 29 y/o M with hx of asthma, nephrolithiasis presents with R sided flank-pain x 2 days. Pt denies gross hematuria, but describes a colicky pain that radiates to his groin. He is afebrile, but tachycardic and uncomfortable. UA shows 40-50 rbcs/hpf, < 5wbcs/hpf. Pt states that he had a prior kidney stone, but it was on his L side and he had grossly bloody urine at that time. The patient’s abdomen is soft, nontender. CBC shows no leukocytosis, no shift, BMP with normal creatinine. What’s your next move? Well…if it’s the oral boards, you order weight-based morphine at 0.1mg/kg and shortly afterwards, the patient becomes apneic. In the real world why don’t we give a 1L NS bolus, some Tordol (maybe at the reduced dose of 15mg IV per the recent literature) and then CONSIDER THE PROBE! The degree of hydronephrosis is related proportionally to renal stone size. Just to recall: stone < 5mm passes spontaneously 97%, while stone > 7mm only passes 39% (Gospel of Tintanelli.) Therefore, patients with a typical presentation of nephrolithiasis without moderate-severe hydronephrosis on POCUS have a high likelihood of passing their stone spontaneously and a low likelihood of requiring any surgical intervention. Great news! You may be able to save your patient a CT scan saving them not only radiation but making their ER trip cheaper (good for them) and shorter (good for us). 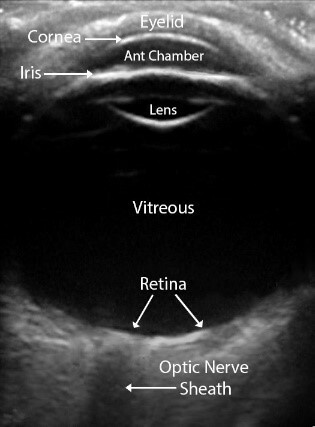 There is even evidence to support this practice (check out Dr. Bailitz’s article Ultrasonography vs Computed Tomography for Suspected Nephrolithiasis in NEJM, we won’t delve into it now, but worthy of a read: http://www.nejm.org/doi/full/10.1056/NEJMoa1404446#t=article). 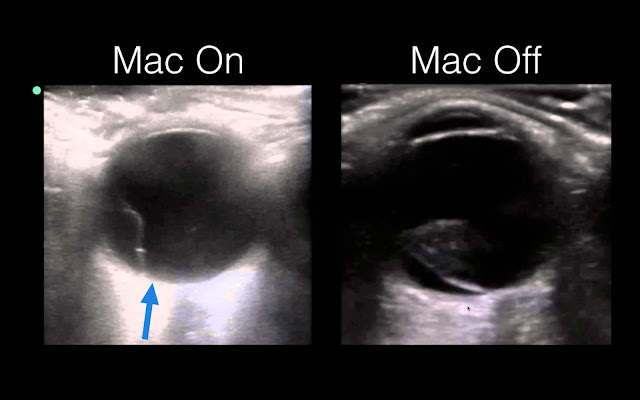 You correctly note only mild hydronephrosis on the right. 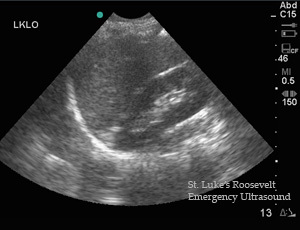 With a benign abdominal exam and a UA supportive of your diagnosis, you confidently diagnose the patient with R sided nephrolithiasis and write the patient for some analgesics, encourage hydration, consider tamsulosin (a separate evidence-based discussion) and instruct the patient on proper return precautions. 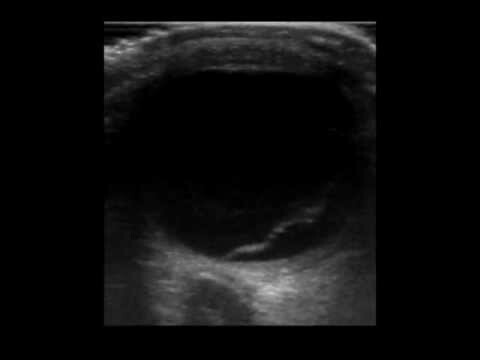 What if our bedside US had showed this image of the R kidney? 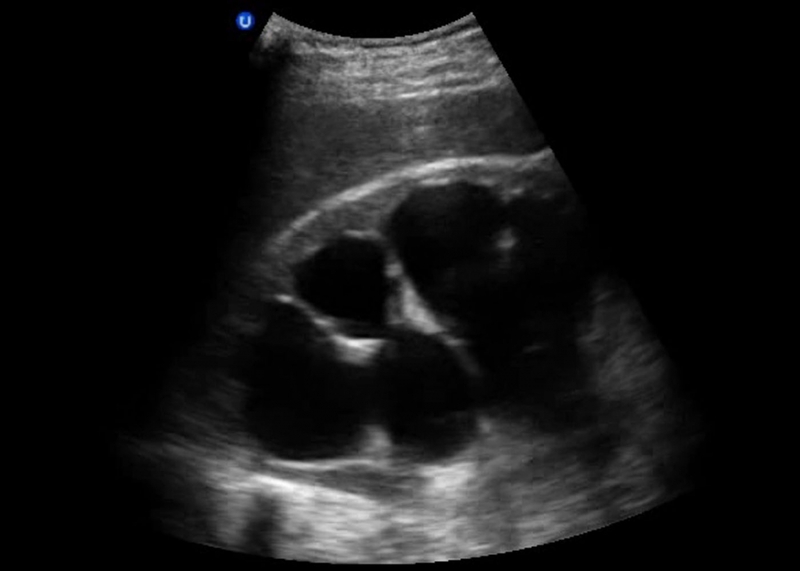 You correctly note the “bear-claw” pattern on the R showing moderate to severe hydronephrosis. 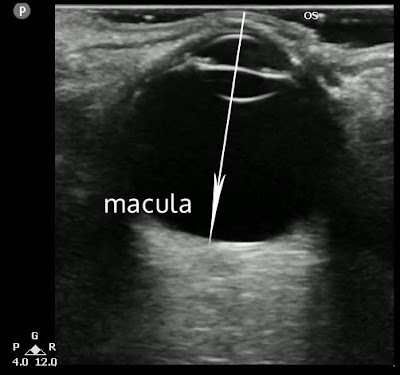 Correctly recognizing the patient’s higher risk for having either a larger obstructing stone or structural abnormality (malignancy! ), you decide to either perform a CT scan at this time or consult directly with Urology. 2) POCUS should be your initial imaging study when you are evaluating a patient with a typical presentation of nephrolithiasis. However, in a febrile/septic/toxic appearing patient remember to consider complications such as an infected stone or a renal abscess that may require CT for diagnosis and operative planning. 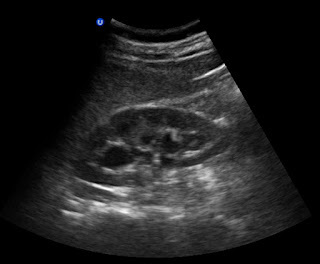 3)In patients with absent or mild hydronephrosis, consider “treating” the patient for nephrolithiasis without further imaging or consultation. While patients with moderate-severe hydronephrosis, require further imaging (CT) or consultation with Urology, as these patients are likely to require operative intervention. Thanks for reading and always remember when you are on shift to always remember to CONSIDER THE PROBE!